BRASILIA (Reuters) — Brazil's government has opened discussions with congressional leaders, state governors and mayors on a pension reform bill that would set the minimum retirement age for men and women at 65, a government official said on Monday. 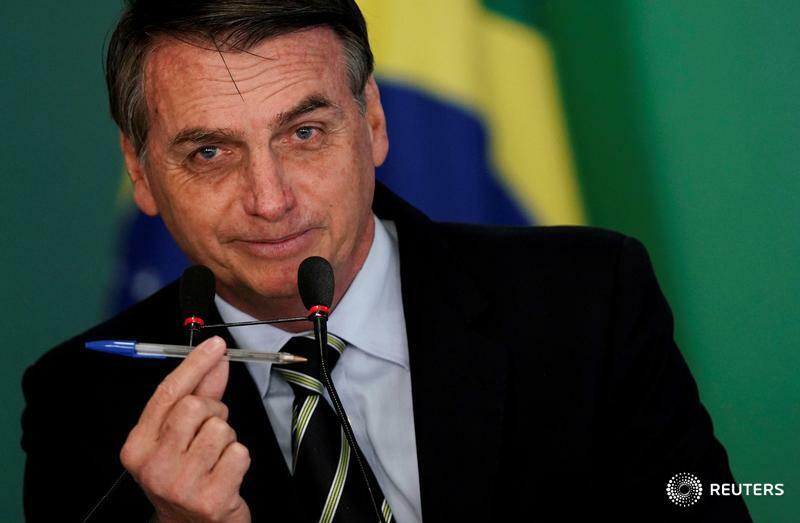 Bolsonaro has put overhauling social security at the top of his agenda. Depending on the final proposals, it could save up to 1.3 trillion reais (C$464 billion) over the next decade, economy ministry sources reckon. The Bovespa stock market hit a record high on Monday above 98,500 points, and the real has risen around seven per cent against the dollar in the last six weeks.